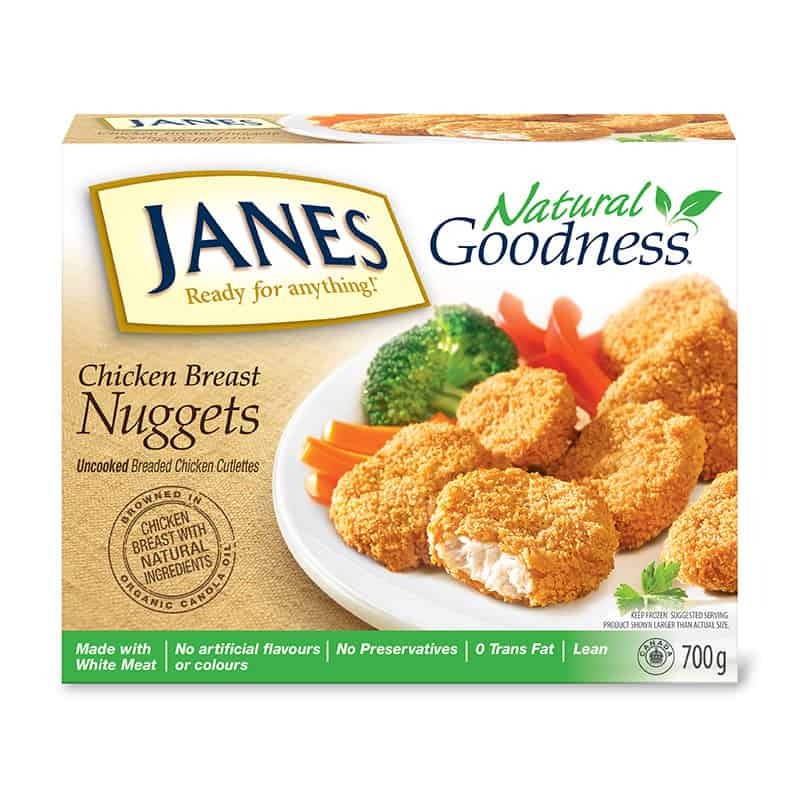 Natural Goodness Chicken Strips - Janes® Ready for Anything! 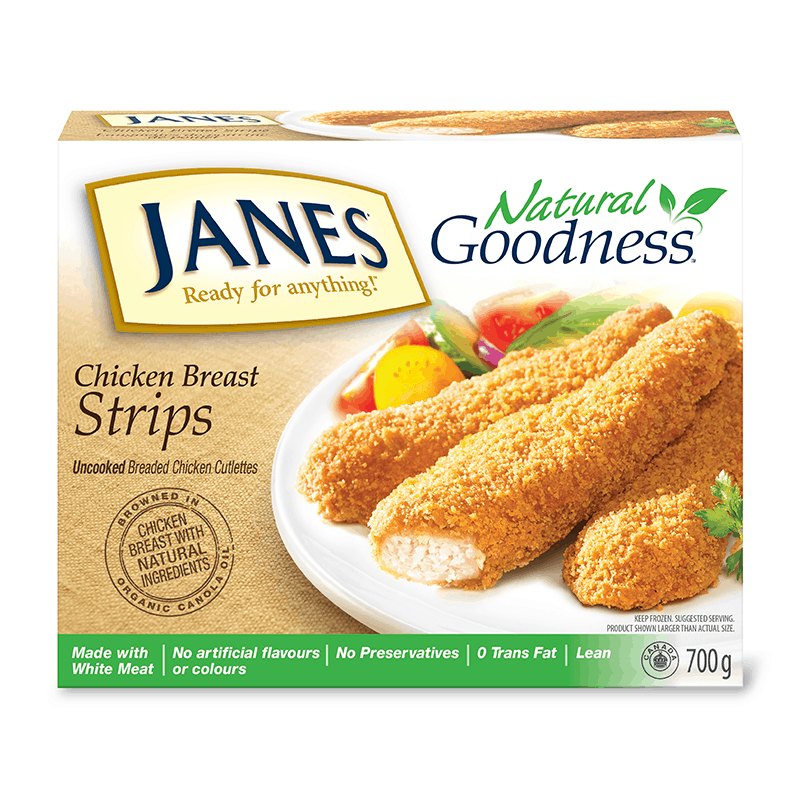 Our Natural Goodness Chicken Strips are made with ‘kitchen cupboard’ ingredients, so they’re perfect for families looking to keep their meals nice and simple. Chicken Breast, Water, Whole Wheat Flour, Organic Canola Oil, Rice Starch, Toasted Wheat Crumbs, Sea Salt, Turbinado Sugar, Yeast, Chicken Broth Powder, Garlic Powder, Spices, Onion Powder. 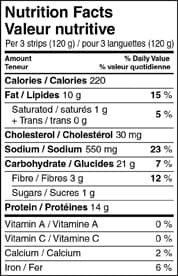 May contain soy, eggs. Cook from frozen. Bake in a preheated oven at 400°F (204°C) for 10 minutes, flip, then cook 10 more minutes. Cook to an internal temperature of 165°F (74°C).